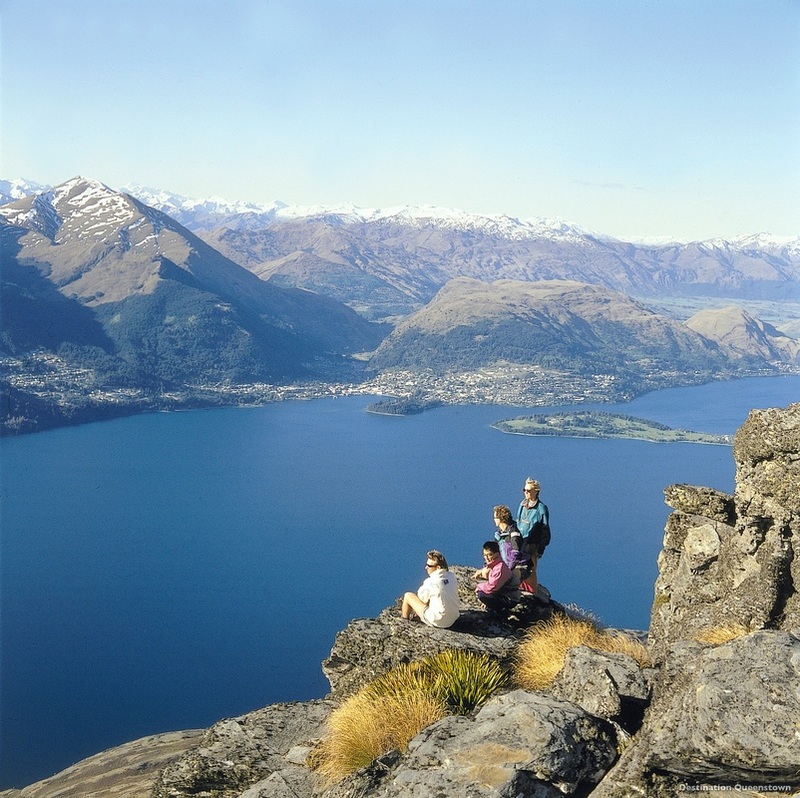 Travel to New Zealand’s adventure capital of Queenstown and let its natural beauty charm you. Nestled in beside the mysterious Lake Wakatipu, in the Southern Lakes district of New Zealand, Queenstown is a cosmopolitan haven offering limitless adventure, southern wine and cuisine, and breathtaking alpine scenery. The lake gleans in the summer sun, and snow clad mountains tower above the township in winter making it a great place to visit all year round. Experience the silent beauty of Doubtful Sound. Journey deep into the heart of the world-renowned Mt Aspiring National Park and get close to nature as you paddle gently on crystal clear waters in your inflatable Funyak ‘canoe’ and experience high-speed, adrenaline-pumping fun as you jet boat on the Dart River. Walk the Routeburn Track. Nelson is the sunniest region of New Zealand and offers plenty of golden beaches to explore, local vineyards to savor a sip at, and award-winning restaurants with menus full of local produce. Explore the Abel Tasman National Park starting with a cruise from the Park’s southern tip to Totaranui following the rugged coastline. Over three days you will walk the isolated northern beaches and kayak the sheltered southern coast with support throughout allowing you to choose the amount of walking and kayaking you do each day. Abel Tasman National Park may be New Zealand’s smallest National Park, but it is a coastal paradise perfect for hiking, swimming, snorkeling, sun bathing and sailing. ​This evening make your way to the Los Angeles International Airport for your overnight flight to Queenstown via Auckland. If you require connecting flights from other US cities, let us know and we can arrange these for you. Cross the International Date line and "lose" the day. Don't worry you will get this day back on your return home. Upon arrival in Auckland you will clear Customs and Immigration before boarding a flight bound for Queenstown. On arrival in Queenstown you will be met and transferred to your hotel for a five night stay. Depart Queenstown and travel along the shores of Lake Wakatipu through the rolling countryside to Pearl Harbour, Manapouri. Board a vessel for a cruise across picturesque Lake Manapouri to West Arm. A coach then take you across the alpine route of Wilmot Pass through some of Fiordland's most dense rainforest. Upon reaching Deep Cove, board the vessel Patea Explorer for a 3-hour cruise on serene and isolated Doubtful Sound. View waterfalls, rainforest, mountains, fur seals basking on the rocks, resident pods of bottlenose dolphins and rare Fiordland Crested Penguins. On the return cruise, the vessel's engines are turned off and you are treated to 'The Sound of Silence' before retracing your steps back to Queenstown. This morning join your vehicle for a full day trek on the famous Routeburn Track. This walk in the Mount Aspiring National Park starts with a scenic drive to the northern end of Lake Wakatipu and into the Routeburn Valley. Your walk begins among towering ancient beech forest, climbing gradually through a 130 million year old magical world, blanketed by forest mosses and ferns and skirting the thundering Routeburn through the gorge it has carved over the millennia. The woodland eventually parts to reveal the rich grassland of Routeburn Flats, overlooked on all sides by cloud-scraping mountains, some so high they have permafrost and small glaciers. Enjoy a well-earned lunch surrounded by the grandeur of alpine meadows, meandering streams and majestic snowcapped mountains. On the return journey, explore the old forgotten paths of the Maori as you travel along the original Greenstone trails, finding new enchantment around each corner, where native birds abound. Spend a half day kayaking areas near Queenstown. The guides will advise you on the day which area you will be visiting as different trips suit different weather patterns due to prevailing wind and water movement. Enjoy a full day Funyak experience that include a jet boat ride on the Dart River and use of inflatable funyak canoes. Paddle and drift for two spectacular two hours downstream, taking in the awe-inspiring sights found amidst the River's shimmering channels. stop amongst the ancient beech forest to enjoy a wilderness buffet lunch and explore the hidden side streams, rock pools and dramatic chasms such as the beautiful Rockburn, before continuing downstream to Paradise, where you'll be taken by 4WD coach to Glenorchy, stopping to view the stunning scenery that has inspired films the world over. Today you will be transferred to the Queenstown Airport for your flight to Nelson. On arrival make your way to your hotel for an overnight stay. Start your three day Able Tasman guided tour with a brefing before departing to Kaiteriteri by coach. Upon arrival at Kaiteriteri, depart on the a fast, safe and comfortable cruise along the coastline of Abel Tasman National Park. Disembark the boat at Totaranui and enjoy a two hour walk through mature beech and rata forests and along secluded golden beaches to the tidal inlet at Awaroa where you will either walk or take a boat ride across the stunning expanses of the largest inlet on the coast, depending on if the tide is in or out. Morning tea, lunch, afternoon tea and dinner are all included today. After breakfast, depart Awaroa and walk 3 miles (approximately 1.5 hours) over the Tonga Saddle to Onetahuti. Here your guide will settle you into your kayaks with full training and a safety briefing. You then embark on a four hour sea kayaking journey from Onetahuti to Torrent Bay. In good weather, visit the New Zealand Fur Seal colony on Tonga Island. Cruise past Tonga Quarry and the Tonga Arches as the guide explains the history of this granite area and points out some of the features and quarry relics. Stop for lunch at Bark Bay and take time out to explore, swim or relax on the golden sand. After lunch, continue beach hopping along the coast to the beachfront lodge at Torrent Bay, taking in points of interest including Falls River and Frenchman's Bay. Morning and afternoon tea and dinner are also provided on this day. Enjoy a delicious breakfast at the lodge and then continue paddling along the coast and discovering the pristine bays and beaches named by French Explorer, Dumont D'urville in 1827. Today will see you kayaking for 7.5 mile, taking approximately 4.5 hours. Cruise the Astrolabe Roadstead, visit the stunning bays of Te Pukatea and Appletree, or paddle along the coast of Adel Island. If the wind is right, the guide will help you hoist a specially designed sail so you can ride the sea breeze. Stop for lunch at any one of the bays before continuing on to Kaiteriteri. A Wilsons Abel Tasman coach then meets you at Kaiteriteri for the return trip to Nelson where you will check back into your hotel. Morning and afternoon tea are also included today. ​Today make your way to the Nelson Airport for your return flight to Los Angeles, via Auckland.